Pant….puff….so excited so excited so excited!!!! Craft Magazine‘s blog just posted and linked to my post about my fabric sewing collages! Yippeeeeee! I love that magazine and blog. If you have not checked it out yet do so. There are so many amazing ideas inside. The image above is from my sketchbook. 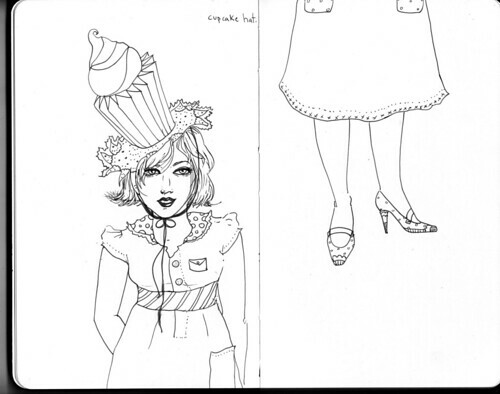 It’s a drawing of a girl in a very silly cupcake hat.